Interweave Healthcare currently supplies over 200 products to NHS hospitals, clinics and laundries via the NHS Supply Chain website. We have been an NHS approved supplier for many years, offering unparalleled customer service and after sales support. We understand the need for urgent delivery and for that reason we stock large quantities of hundreds of key products available for next working day delivery, if ordered before 2pm Monday to Friday. The 200+ Interweave products listed on NHS Supply Chain are also available to view and purchase directly via our website. Use the website search function to look for the products you are intending to purchase, on top of the product photo you will see a NHS Supply Chain logo which indicates the product is available to order on the Supply Chain website. You’ll see a link to view the product on the NHS Supply Chain website, simply click REDIRECT TO PORTAL to directly open up the same product on the NHS Supply Chain website. Our website provides more in-depth information about each product than the Supply Chain website does. View more product photos, detailed data sheets and customer reviews on the website before making your procurement decision. If you are responsible for buying products for an NHS hospital, clinic, surgery or similar, you will qualify for a 30 day credit account with us, which will enable you to purchase from us on an invoice basis, i.e. you will receive an invoice with 30 days credit. Please register your details online to apply. We will aim to process your application within two working days Monday to Friday. 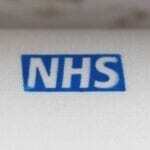 Products that are available on the NHS Supply Chain website should be ordered via the NHS Supply Chain. For orders of any other products, please either order online via the Interweave website, or you could place your order via email or phone. Please make any cheques payable to: Interweave Textiles Ltd. Bank transfer details will be provided to you when we receive your order.